Size: 510 by 370 cms. 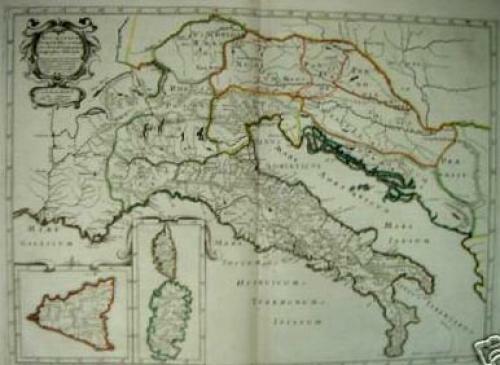 Original antique map of Italy with insets: Sicily; Corsica & Sardinia. Melchior Tavernier was a member of a large family involved in the publishing trade in Paris in the early years of the seventeenth century, and was himself an engraver and publisher "ordinaire du Roy."